Are you looking to build your own professional business website? 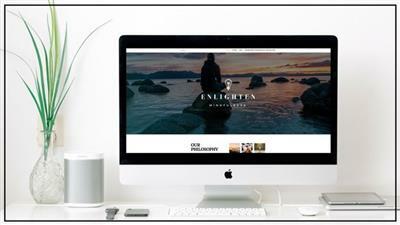 Do you have a Wix or Squarespace website, but are fed-up with the fees & cost of add ons? Have you tried building a website before using YouTube or other courses, but failed at the first hurdle due to complex hosting, startup fees or lack of quality/indepth information? Are you tired of searching through expensive themes and content packages, only to find that they look nothing like the sales page reflected? Do you want to have complete control over the content your own website and the freedom to update and upload content whenever you want? Are you ready to understand just how simple & liberating designing your own website can be? If you have answered 'Yes' to any of the above, I believe that this course will be perfect for you! Welcome to the course, I can't wait to see your incredible website designs!